The Project has hit back at Prime Minister Scott Morrison in a fierce rebuttal, accusing Australia's most senior politician of dragging Waleed Aly into "an ugly political fight". Mr Morrison criticised Aly on ABC TV today, claiming he had told an "appalling lie" after The Project host repeated claims first made in 2011 that the politician had urged his party to exploit concerns about Muslims in Australia for votes. 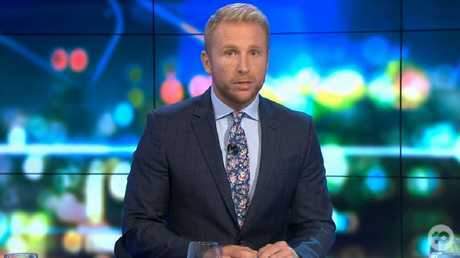 Aly had referenced the Sydney Morning Herald story as part of his emotional editorial he gave on Friday's episode of The Project in the aftermath of the Christchurch terror attacks which claimed 50 lives. Host Hamish Macdonald revealed that after Aly's editorial aired - and was widely praised on social media - the Prime Minister's office contacted the show in a "furious exchange" claiming it was "defamatory". "Update: Scott Morrison's office has contacted The Project to deny the 2011 report on comments he has alleged to have made within a shadow cabinet meeting," the program had tweeted later that night. "Now we offered Mr Morrison the opportunity to respond live on this desk when he was due to appear on this program on Monday," Macdonald said on Wednesday. "Not only did he decline but his media team pulled him out of the scheduled appearance altogether. "Obviously, two months out from an election, this is being dragged into an ugly political fight." 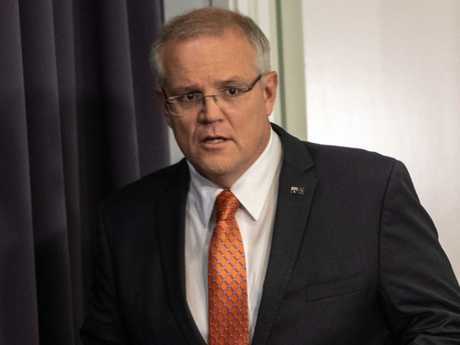 Responding to Mr Morrison's claims Aly had defamed him, Macdonald said while the report "was confirmed by multiple sources inside the room and denied by some others," it had "dogged Scott Morrison ever since". "In truth, no-one but those in that room can now say for sure what was said and there does seem to be two very distinct versions," Macdonald said. "But we as a country know what our leaders have been saying about refugees and immigrants and Muslims for well over a decade." 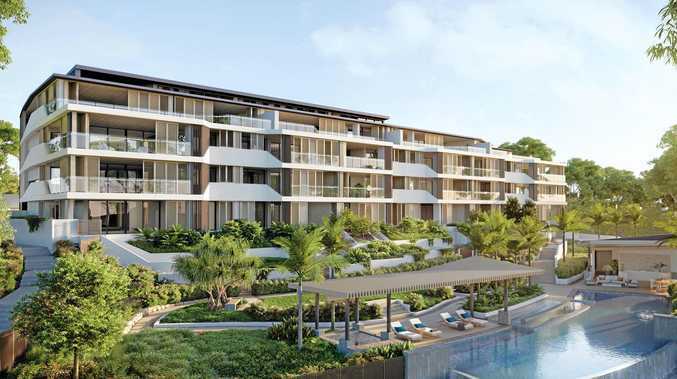 According to Macdonald, the reason why he and not Aly was delivering The Project's response spoke volumes about Australia's politicians. 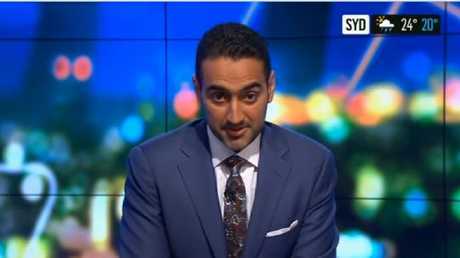 "If anything paints a clearer picture on the state of Australian politics today it is this; after Waleed made that genuine, thoughtful, and reasoned contribution on Friday night - a plea for our community to come together - the Prime Minister of our country threatened to sue," Macdonald said. "In contrast, New Zealand's Prime Minister invited Waleed to her country to sit down for an interview. "If you want to know why I'm here tonight and not Waleed that's why, that's where he is. And so Mr Morrison to you, personally, that invitation to come here and have that conversation that is so desperately needed is always open." The Project's response was praised on Twitter, where viewers described it as a "must watch" and "factual shots fired". Speaking on Friday's The Project, Aly had said there were "media reports going back eight years at a shadow cabinet meeting in which another senior politician suggested his party should use community concerns about Muslims in Australia failing to integrate as a political strategy". "That person is now the most senior politician we have," he said, clearly referring to the Prime Minister. Responding to Aly's claims on Wednesday morning, Mr Morrison said he had "no intention" of suing for defamation but wanted to set the record straight. "I have no intention of doing that; I just simply want people to report the truth and that is an ugly and disgusting lie. I reject it absolutely," Mr Morrison told ABC TV. "Over the last decade I have spent my time as a public figure working with the Muslim community in southwestern NSW."